This privacy statement explains the reason for the processing, the way Rucip collects, handles and ensure protection of all personal data provided, how that information is used and what rights you may exercise in relation to your data (the right to access, rectify, block etc.). Rucip is committed to protecting and respecting your privacy. Should we ask you to provide certain information by which you can be identified when using this website, then you can be assured that it will be only be used in accordance with this privacy statement. Please check this page regularly to ensure you agree with any changes. This policy is effective from 1 May 2018. 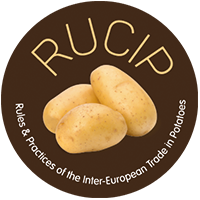 RUCIP will process any personal data it would receive in the context of its professional relationship with any third party in full compliance with EU and Belgian applicable legislation, i.e. the Belgian Privacy Act (Act of 8 December on the protection in relation to the processing of personal data) and the General Data Protection Regulation (GDPR) (Regulation (EU) 2016/79) as of its implementation on 25 May 2018. Rucip will only collect personal data which are strictly necessary to achieve the purpose for which the Personal Data have been collected. Rucip will not keep personal data any longer as needed for achieving the purposes for which the Personal Data have been collected or obtained, except if its obliged to do so by law and/or professional rules of conduct. E-mail address and telephone & fax number. Rucip only keeps the data for the time necessary to fulfil the purpose of collection or further processing. Personal data is kept as long as follow-up actions to the meeting are necessary with regards to the purpose(s) of the processing of personal data as well as for the meeting and its related management. Rucip uses up-to-date IT procedures to keep personal data safe and secure. All data in electronic format (e-mails, documents, uploaded batches of data etc.) are stored on the server of the contractors EASI SA and 2B.COM sprl. The contractors EASI SA and 2B.COM sprl are bound by a specific contractual clause for any processing operations of your data. EASI SA and 2B.COM sprl servers are based in the EU and EASI SA and 2B.COM sprl are GDPR compliant. a) In the context of meetings organised by Rucip, your data is accessible to Rucip and Europatat staff. b) In case of litigation your data is accessible to IDOC, OLAF, EDPS, Court of Auditors on a case-by-case base. c) Transfers of personal data to countries outside of EU/EEA are NOT FORESEEN. You are entitled to access your personal data and rectify and/or block it in case the data is inaccurate or incomplete. You have the right to withdraw your consent at any time. You can exercise your rights by contacting the data controller(s) using the contact information given at point 7 below.